A few years ago I started work on what would eventually become the Musicnotes Rewards customer loyalty program. Initially starting from some recurring revenue concept models, the project shifted gears as continued research into different models highlighted the value a loyalty program can bring. For our platform, we went with a company called 500 Friends (since purchased by Merkle) and it’s been a pretty good experience so far. Our customers like it – and and things like “double points” weekends are popular promotions, but these aren’t where I see the largest value in the program. In my opinion, the most valuable aspect of a “loyalty program” is the opportunity they give to guide customer behavior, particularly to guide behavior that may otherwise not have the levels of engagement you’d like to see. As you will learn from any small amount of research into loyalty programs, it’s true that customers like to be appreciated for their loyalty (I think it’s important too). Likewise, loyalty programs can also be extremely useful in tying together customer data points from cross-channel interactions. The one aspect that I find often overlooked, however, is how you can use incentives to encourage a customer to partake in a desired behavior. For example, product reviews are viewed by most retailers as very important in helping their customers make purchasing decisions, as feedback and opinions from their peers are often much more useful and carry a stronger sense of “weight” than company-written copy usually provides. The problem is, getting a customer to write a review isn’t the easiest thing to do. Yes, you’ll have some customers who write reviews to position themselves as “experts,” others who want to share joys or frustrations, and still others who write the reviews out of a sense of community-based trade (they know their reviews are of value to others, and would like others to write reviews to help them later as well, so it’s people helping people) – but oftentimes you’ll find that these aren’t enough to drive the behavior at the scale you’d like. So, what we’ve done is give people “points” for writing product reviews. The points can be used just like any points you receive from a purchase, meaning they can be redeemed for product, coupons, etc. We also have a badging system in place to help gamify the system, encouraging people to get “badges” (i.e. “bragging rights”) once they hit various numbers of total reviews written. After implementing our reward-based structure of reviews, our incoming product reviews increased 5X – meaning much more valuable content on the site for customers, happier customers and lower rates of cancellation or customer service inquiries. Taking this concept a bit further, however, you can get into some even more useful behavioral incentives, so much as to not only push someone to do your desired behavior once, but ultimately make it a habit. A great example I’ve seen of this is how Walgreen’s “Balance Rewards for Healthy Choices” is encouraging people to make exercise a regular habit. With their system, they are encouraging people to tie their FitBit or other activity tracker account to their Walgreen’s “Balance Rewards” program, and rewarding points for steps walked. Not only does it encourage more interaction with Walgreen’s as a brand by driving FitBit users to their stores to use their accumulated points, but it also actually will guide the behavior of walking to get people to start to do it regularly because of the incentives it provides. Do something long enough, and the incentives can start to fade as the behavior becomes part of your daily life, and you have a new habit. Another usage in using loyalty programs to build habits can be as simple as encouraging customers to use products in ways that they may not have considered before. For example, many CDs purchased on Amazon come with an “auto-rip” of the MP3s of the album that can be used in the Amazon Music app. If Amazon were to want more people to try Amazon music, they could even go so far as to encourage customers who haven’t used Amazon Music yet to try out their new purchase in the player (meaning install the app, and sign in) and give them an incentive to do so (points, or more likely in Amazon’s case, a coupon toward a future music purchase). Assuming most consumers who use Amazon Music have a good experience, and are more likely to purchase additional digital music once they’ve started to make Amazon their platform, the incentive to get them to change behavior can be well worth the investment. Take this a step further, and Amazon could go so far as to incentivize people to upload their entire music library to Amazon, and say for every ten albums they upload to their library, they get a dollar in Amazon MP3 credits. Small cost to Amazon, but by getting more people to have their music library live in the Amazon store ecosystem, they could very likely be converting iTunes or Google Play customers into Amazon customers, just by changing the behavior and habit in how they consume their existing library. The point is, once you’ve identified desired behaviors that may act as “tipping points” such as making a non-customer a customer, or a one-time customer a regular subscriber, or even regular customers into ardent fans and influencers, there is a large opportunity to encourage more customers to hit these tipping points. Loyalty programs are a great way to do this, as you’re able to, in essence, pay a customer to try something new, with the idea that your investment in guiding their behavior will help (ideally in both you and your customer’s favor). 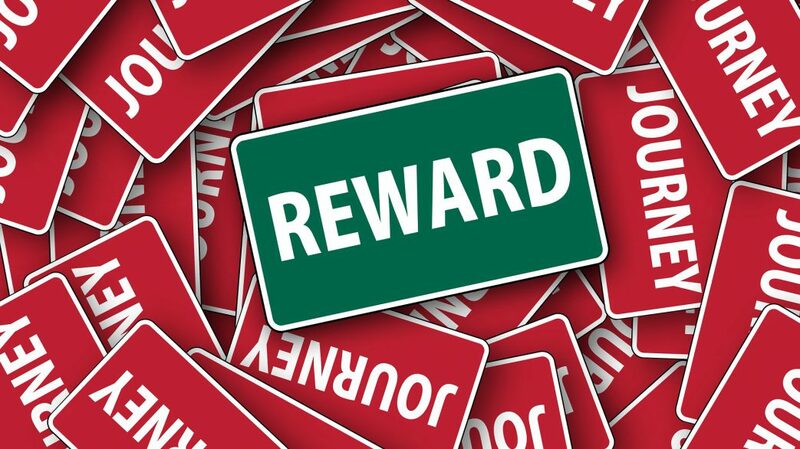 Opportunities to reward other than through Loyalty programs are obviously available as well, such as badging, coupons, “social currency” (i.e. bragging rights) or the general economics of a sharing economy, but nonetheless incentivizing desired behavior is the one sure-fire way to realize additional, similar behavior.